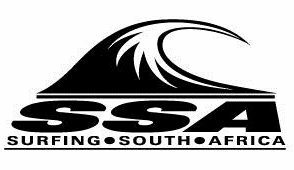 South Africa’s hopes of bringing home a medal from the VISSLA ISA World Junior Surfing Championship rest on the shoulders of Luke Slijpen after the teenager from Hout Bay won his U18 boys Main Event semi-final heat in California on Saturday and advanced to today’s finals day. Slijpen has been foot perfect throughout the event which started last Saturday, winning three of the five heats he has contested, and finishing runner-up in the other two, to reach the last four in the division. A first or second place in his first heat today would see the Capetonian progress to the Grand Final where he would be guaranteed an individual gold, silver, bronze or copper medal. And as he is still in the Main Event stream, even a third or fourth place would see Slijpen get a second chance in the Repecharge final, where again a first or second place would see him contest the Grand Final and have the opportunity to be crowned 2018 ISA U18 boys world champion. Teammate Luke Thompson posted a convincing heat win in his U16 boys Repecharge Round 7 match-up to move into the last 12 in his division. But despite earning an even better heat tally of 13.84 out of 20 in Round 8, the young Durbanite was relegated to third place by American Kade Matson (16.03) and Japan’s Riaru Ito (14.40) and he was eliminated from the event in equal ninth place. Thompson’s 500 point haul and Slijpen’s potential 1000 points in the U18 boys saw South Africa move up one place to No. 7 on the provisional team rankings and the team is now a slender 55 points ahead of Portugal, who also have one surfer still contention, heading into the last day of competition. Finishing the event ranked in the top seven nations would guarantee South Africa a place in the unique ISA Aloha Cup at next year’s ISA World Juniors. This form of team relay surfing features the top seven ranked national teams from the previous year’s championships, plus the host nation. If the host nation already qualifies in the top seven, then the eighth ranked team from the previous year is included. The USA won the gold medal in the 2018 Aloha Cup final held on Saturday, convincingly outpointing France, Japan and Hawaii who claimed the silver, bronze and copper medals respectively. In keeping with the move to gender equality at ISA events, the squads representing each nation comprised two boys and two girls rather than the four boys and one girl format of previous years. The top four surfers in each division and the teams accumulating the top four combined points totals will be presented with their medals at the awards ceremony at the event site after the U18 boys final today. The waves are predicted to increase in size to head-high during the day and the customary light offshore winds are expected early, trending to light cross winds by mid morning and an onshore wind during the afternoon. All the action for the final day of the VISSLA ISA World Junior Championship can be followed live on www.isasurf.org starting at approximately 4.30 pm South African time with the awards ceremony scheduled for around 9.30pm.